cost Monthly fee depending on the number of hours a student attends each week. please call us for more details on packages. Master Maths is a progressive method of teaching mathematics. Our unique method of integrating personal contact from tutors with interactive computer lessons sets us apart from other maths tuition services. Our lessons are authored by highly competent mathematics teachers who interpret the South African curriculum and convert it into a user friendly and easy to understand format. Lesson content is regularly updated according to changes in the curriculum and CAPS document. Master Science was launched in 2011, and caters for Grade 10 to 12. Master Maths and Master Science uses the unique M2 computer-based teaching system to illustrate maths principles interactively. Learners attend maths and/or physical science eextra classes at one of our 154 centres. Our lessons use voice and animated images during tutoring sessions to encourage learner interaction. This method is ideal for illustrating concepts because modern learners are more visually inclined and relate effectively to computer graphics. The teaching content is written by experienced maths and physical science teachers, who convert the South African curriculum into a user-friendly and easy-to-understand format. Learners are individuals and approach problems in different ways. It is easier to explain difficult maths and physical science concepts with direct personal attention. This is why constant tutor supervision and guidance is always available, and it remains key to results-driven extra classes. 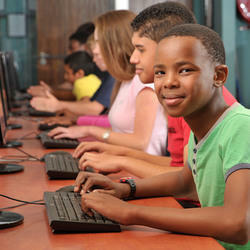 By combining the computer-based system with tutors, we teach learners to find solutions independently. The computer interface first demonstrates how to complete specific problems. After which, learners attempt examples, and if anything is unclear, the tutor guides him or her in the right direction. By employing this method of extra maths and physical science classes it becomes second nature for learners to solve unfamiliar problems independently. The result is effective tutor involvement: not too much nor too little attention, but just the right amount! The key to getting learners out of a maths or physical science slump is to enable "light-bulb" moments during extra classes. Once they realize that they can do maths or physical science, and effortlessly recall the concepts, it can bring about a miraculous change in their attitude. When they see the improvement in their results they become more confident and motivated to excel.